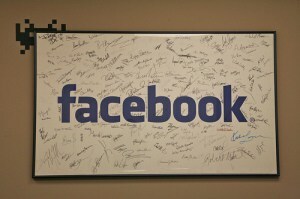 With hundreds of millions of registered users, Facebook is now one of the most visited websites on the Internet. And obviously all of those regular visitors are a collective gold mine for Internet marketers. The gurus at Facebook realize this of course, hence the introduction of their popular Facebook Ads program. The good news is that Facebook ads work extremely well. The bad news is they are also rather pricey. But the best news of all is that there are numerous ways to leverage your Facebook presence in order to increase sales and expand your business – and many of those methods are completely free! What follows is a two step process for building an Internet marketing powerhouse on Facebook. Step 1 – Build a Facebook Page for your business (also known as a Fan Page). You probably already have a personal Facebook profile that you use to stay in touch with friends and family members, but if you do business on the Internet you need a Facebook fan page for driving traffic from Facebook to your website. You can hire a professional to build a fan page for you, but you can also do it yourself for free. This page will become the foundation of all of your Facebook marketing endeavors, allowing you to speak directly with thousands of potential customers at one time! Step 2 – Use your personal Facebook profile to promote your business’ fan page. Some experts suggest keeping your personal profile and your business page separate without intermingling the two, but I disagree. As with any business, your most likely online prospects for buying what you have to sell are the people who already know and trust you – and of course that would be your friends and family. Of course on Facebook the term “friend” is used rather loosely, but over time friendships do indeed develop, and along with that friendship comes trust. Now I’m not suggesting that you plaster advertising posts all over your friends’ walls. In fact, I don’t recommend “advertising” on your personal Facebook profile at all. But what you can and should do is make frequent references to items of interest that have been posted on your business page. In other words, use the power of casual conversation to drive traffic from your personal news feed to the offers on your business page. The key to making this work is having lots of Facebook friends. And I’m not talking a few dozen, but several thousand. Facebook allows you to have up to 5000 friends and I suggest that you try to get as close to that number as possible. Why? Because of the power of leverage. Lets say you have 5000 friends who average 100 friends each. Set the privacy controls for your own posts to “Public” and you can potentially reach many thousands of Facebook users with your posts and suggestions (ads). How to get thousands of friends? By using every allowable method that you can! 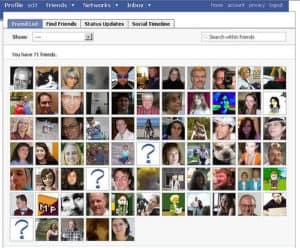 First, send friend requests to everyone that you know personally. Next, ask all of your existing friends to ask their friends to send you a friend request. And finally, publish plenty of interesting and useful posts that will become magnets for friend requests all on their own. As with everything else on the web, it all boils down to quality. Make sure your posts are worthy of a stranger’s interest, and the friend requests will roll in! Conclusion: Facebook is one of the most powerful and effective advertising platforms on the Internet today. With a little ingenuity and effort, you can make it work for you in building your business into a powerhouse! Rick Rouse is a prolific Facebook user and the owner of RLROUSE Infoblog. Great post!…It is really helpful for bloggers like me.. Explanation about facebook marketing . its useful for local Business and blogger. thanks for sharing with every one. thanks a lot.